Please help us raise money for the expenses related to the legal complaint filed to stop the misplaced hotel on Griffith St and Davidson Gateway Drive in Davidson, NC. 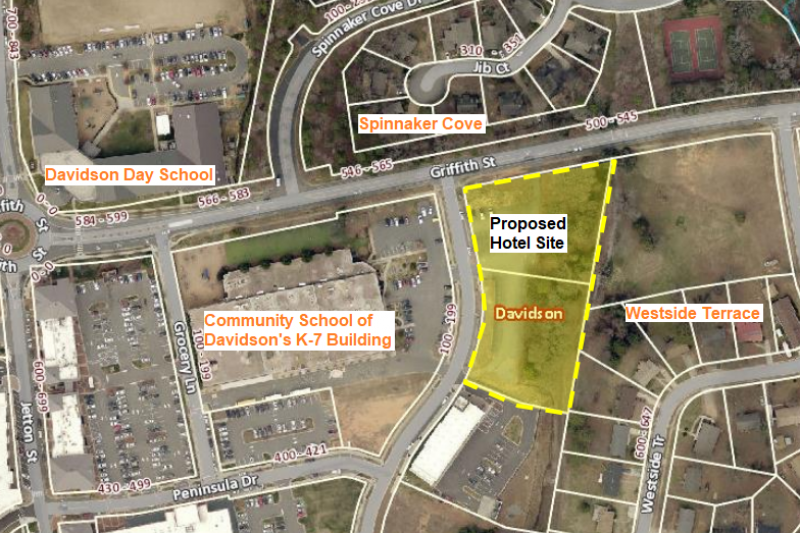 This is not the right location for a hotel due to the impacts to established neighborhoods (Westside, Spinnaker Cove, Woods at Lake Davidson) and the proximity to two elementary schools (Community School of Davidson and Davidson Day School). Multiple benefactors throughout the community have contributed funds to allow a legal complaint to be filed by an experienced Charlotte, NC attorney. Moving forward, there is an opportunity for the entire community to come together to stop this project. All funds raised will be used for the legal expenses with the goal of overturning the approval of the project. Luke Charde, one of the Plaintiffs, is withdrawing funds from this GoFundMe and depositing them in the bank account established exclusively for the payment of these legal fees. You may also send checks made out to "Luke Charde, Special Account" directly to PO Box 785 Davidson, NC 28036. To learn more or find out about ways to help spread the word, e-mail misplaceddavidsonhotel@gmail.com. Exciting news - thanks to a donation from a concerned CSD parent we are doing a matching drive for $3000 over the next two weeks! Now is a great time to donate and double your impact! Additionally, thanks to ongoing fundraising efforts offline we are able to lower our overall GoFundMe goal. Thank you to everyone who has contributed both through GoFundMe and offline, it is truly appreciated. Thank you all so much for your support - we are over $5,000 in the GoFundMe now! This is in addition to the checks we've received directly at our PO Box! We truly appreciate the help as we continue with our effort to stop this hotel from being placed in an area that has such tremendous impacts to long term residents and young students.